Community star Joel McHale just got a little more busier. For more than a decade, E! 's popular comedy franchise The Soup has entertained the pop culture cynic in all of us by mocking, dissecting and highlighting the most shameful moments in television and pop culture. From cringe worthy make out sessions at the Jersey Shore to Anderson Cooper's school girl giggle to Honey Boo Boo in all her glory, The Soup has been there every step of the way. But now, The Soup team, led by host Joel McHale, will delve deeper into the Hollywood vortex to examine pop culture mysteries, celebrity rumors and the shocking questions that entertainment fans never thought to ask... and probably shouldn't have. The new spin-off special The Soup Investigates premieres Wednesday, June 19 at 10:30pm ET/PT on E! following a new episode of The Soup at 10pm ET/PT. 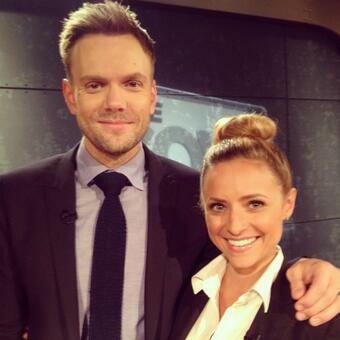 Among the guests joining Joel McHale to discuss these investigations is Christine Lakin of Step by Step & Lovin' Lakin (pictured above with McHale). Some of the topics covered will be: How DOES that rose get from the grower's field to The Bachelor's hand just in time for the all-important rose ceremony? What do people, like Tila Tequila, really keep in their storage lockers? And how deep does the "Beliebers" dedication to their main man run? Host Joel McHale and our investigative reporters will be working around the clock to get to the truth by probing, penetrating and thrusting themselves into any and all forbidden places, shady sources, and promising leads. Stay tuned for further updates if this special turns into a series. And the more Lakin on our screens, the better! The Saturday afternoon drama block on UP is now going back to sitcoms after just a few weeks. As we announced a few weeks ago, Saturday afternoons had four episodes of Touched by an Angel or 7th Heaven rotating each week from 1-5pm. Now sitcom marathons will take over from 1-5pm. 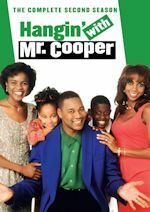 227 aired this past Saturday, with Sister, Sister airing this coming Saturday (June 22), and Moesha on June 29. 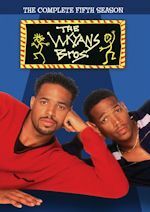 The regular Saturday morning sitcoms will remain intact with an hour each of Smart Guy, Sister Sister, Moesha and 227 from 9am-1pm. This is not that big of a deal for Touched by an Angel and 7th Heaven because both also air on the regular weekday schedule. 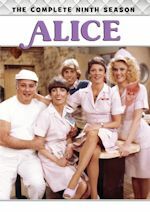 No other schedule changes will be made on UP, so that means the weekday schedule will remain intact with The Waltons leading it off from 10am-12pm, followed by 7th Heaven at noon. Judging Amy airs from 1-3pm leading into Dr. Quinn Medicine Woman at 3. At 4pm, reruns of Heartland airs into back-to-back hours of 7th Heaven from 5-7pm. Then in primetime, Touched by An Angel airs back-to-back at 7 & 8pm. 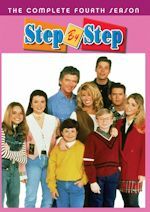 From 9-11pm, it is still different programming every night, with a day of Touched by an Angel, 7th Heaven, Heartland or original series Family Addition With Leigh Anne Tuohy. In late night, sitcoms are still intact with an hour of 227 at 11, Moesha from 12-1am, more 227 from 1-2am and Family Ties hour from 2-3am to close out the night.